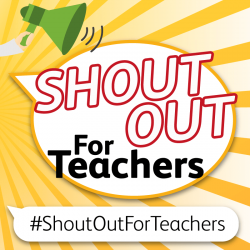 Schools often have a love/hate relationship with Social Media, some refusing to consider using it and banning access to it from school, and others with their own Facebook, Twitter and even Instagram accounts! It’s not difficult to understand why some schools may be cautious – the words ‘social media’ can be a cause of worry for those concerned about safeguarding and cyberbullying. The irony is that most parents and many students use Social Media every day, and the absence of schools from this ecosystem may not be a good thing. As someone recently pointed out, “parents will be chatting about the school by the school gates or on social media anyway; it’s a simple choice for the school as to whether they want to be involved in the discussion”. For Sunbeams Day Nurseries, having an active social media presence was incredibly important and was the foundation of building a better relationship with parents. 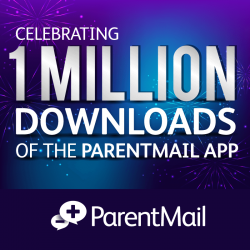 They introduced ParentMail to bring together their social media activity, their interactive website and important school messages – all driven into one account. Done well, schools can strengthen relationships with the hardest to reach parents, building a ‘social’ relationship with the parent community in general and improving the quality of engagement with parents and wider community. How else could schools use Social Media? In 2015, it was reported that the number of UK consumers using social media to research what products are “best” had rocketed from 25% to 43%, according to the Adobe Digital Index (ADI) 2015 Holiday Shopping Prediction report. Social Media is a great tool for schools to read reviews on products they are considering. Often, when looking for a new form of technology to help in the classroom or school office, they’ll consider a few options and make a decision based on cost or ease of use for staff or parents. Though all are important, it’s also worth seeing what those who are already using the product think! Though most companies offer case studies and testimonials from their happiest customers, the best way to get an honest representation is to look on Twitter or Facebook and see real reviews from real consumers! Some companies have a review section on their Facebook page, which is a great way for you to see what their customers rate them out of 5. Another way is to visit Twitter and simply search the supplier name or relevant hashtags to see what those who are already using the product think about it! Are you following us on social media? You’ll find us on Facebook and on Twitter. (2015). Why social media reviews can make or break brands Read more at http://www.campaignlive.co.uk/article/why-social-media-reviews-break-brands/1370711#7EFZqHjhCDYjDgKu.99. [ONLINE] Available at: http://www.campaignlive.co.uk/article/why-social-media-reviews-break-brands/1370711. [Last Accessed 07/06/2017]. Lucy Ward ( 2014). Talking to parents in 140 characters: how are schools using social media?. [ONLINE] Available at: http://www.microsoft.com. [Last Accessed 07/06/2017]. Haroon Siddique ( 2017). Ofsted considers using social media to monitor schools. [ONLINE] Available at: https://www.theguardian.com/education/2017/mar/31/ofsted-considers-using-social-media-to-monitor-schools. [Last Accessed 06/07/2017].